The Oracle-based personnel system Australia’s Department of Defence is rolling out in partnership with Accenture is running over budget and behind schedule, according to the Australian national Audit Office (ANAO). Since 2012, Defence has been working towards the replacement of its largely-bespoke personnel systems, with a suite of software produced by Oracle. 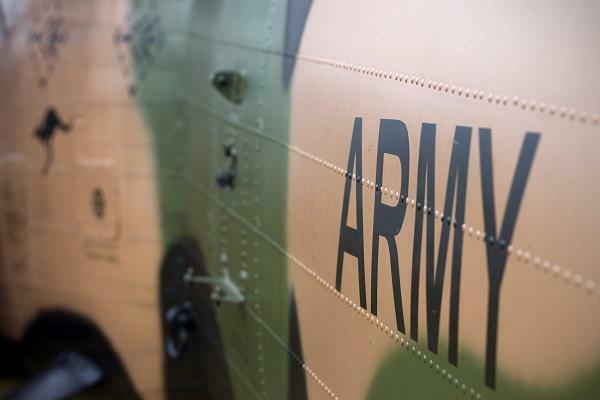 Following a review of the Australian Army’s workforce management, however, the ANAO has labelled Defence’s project to redevelop its ageing personnel systems as being “over budget and behind schedule”. The new system, known as Defence One, is intended to provide both transactional and analytical capabilities on a single software platform. The Defence One project aims to to improve the delivery of human resoruces services to more than 100,000 Australian Defence Force (ADF), reserve and civilian personnel. The project sees the delivery of a modernised core HR IT system, along with supporting business and process change. Accenture has been contracted as the systems integrator for the program since October 2011, according to documents lodged with Defence. Other external providers involved with the estimated $123.5 million project include UXC Limited for the provision of Defence payroll consulting services and environment management skills, Avanade Australia, for specialist Microsoft skills, and EMC for staff augmentation. While the project has successfully delivered several key components, the release of the first two phases is experiencing budget and schedule issues, according to the ANAO. The ANAO’s report said the project’s first phase, “release 1a”, will replace the 21-year-old military payroll system (ADFPAY). As of November 2016, Defence had spent $85 million of the $89 million project budget, and received an additional $23 million to implement legislated changes to ADF Super. “The project’s overall status was ‘red’, attributed by Defence to delays in obtaining additional funding, with go-live delayed from March 2017 to later in 2017,” the report said. Meanwhile, the project’s second phase, “Release 1b”, is aimed at providing a modern analytical reporting function for Defence. In 2013, Defence analysis showed that the proposed commercial-off-the-shelf system would provide only 50 per cent of the existing reporting capability, and that more than half of the end-state capability would need to be custom-built, the ANAO said. “In May 2015, a review confirmed that there was a significant gap between the current and proposed data warehousing functionality, and Defence’s project board directed the project to ensure that there was no loss of reporting capability,” the report said. “Defence advised the ANAO in December 2016 that no decision had yet been made regarding the future platform for personnel reporting,” it said. The ANAO’s findings come as Accenture gets first dibs as the preferred supplier to provide system integration services for the next phase of the Federal Government’s massive Centrelink payment IT systems overhaul, slated to cost $1 billion or more. On 22 March, Minister for Human Services, Alan Tudge, revealed that Accenture had beaten out the handful of other system integrators appointed to the panel of suppliers for the project - most notably Capgemini, with which it had been competing for the project since last year. Who are the winners and losers in the Govt’s $9B IT spending spree?